If I know I have a busy schedule coming up I like to use Sunday to prepare meals for the week ahead. 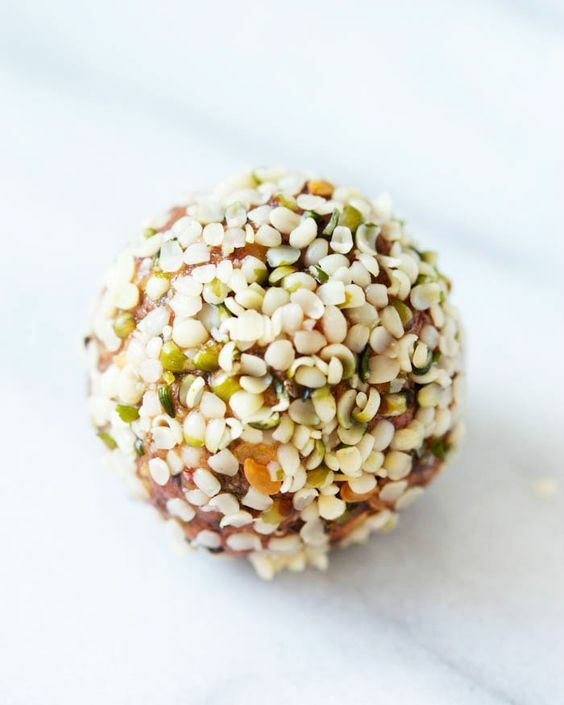 These protein packed Energy Bites are the easiest things to make and are a great substitution for protein bars (because you know exactly what's in them, and they don't contain any preservatives). So here are the Ingredients. I can't tell you the measurements because I just throw handfuls into a bowl until it seems like the right consistency and taste. I'm aware I probably make more work for myself, but if you can go along with my relaxed approach you might just love them. Mix ingredients together in a bowl, stir lots! Get your hands in there and roll about a table spoon of raw dough into a ball. Refrigerate. Pop em' in a Tupperware container, throw em' in your purse and reach for them whenever you need a burst of energy!